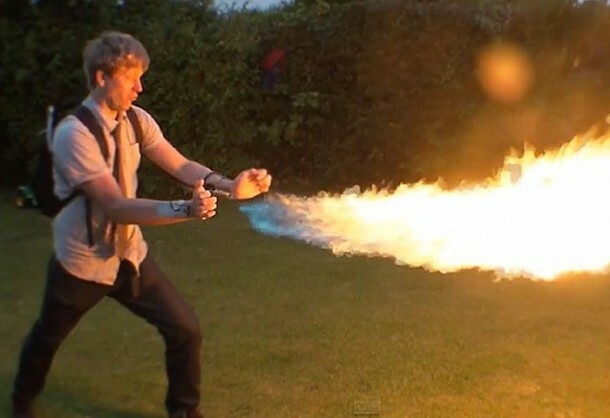 Ah, Mr. Colin Furze, you genius son of a gun! Yup, he is the same guy who created the Wolverine’s claws recently and promised to unveil some more gadgets as well. 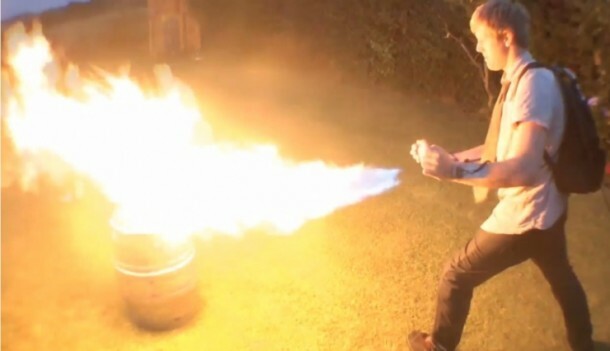 He has kept his promise and has come up with a gadget that allows him to be the Pyro. His latest installment in X-Men gadget series is a pair of flame throwing gauntlets which are capable of firing flames within a range of 12 feet. The assembly is about the size of a backpack and as far as looks go; seems quite safe and reliable. 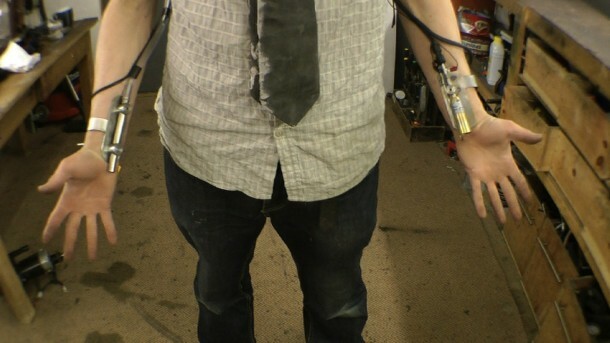 The gadget is powered by Propane and works like this; a metal reservoir is filled with gas and when Colin flicks his wrist the flammable gas is released in a burst. The other wrist has a pilot light to fire up the gas. Since the gas is being emitted at a high velocity it is impossible for flames to burn up the fuel quick enough to reach the reservoir and results in a catastrophic event for the user. 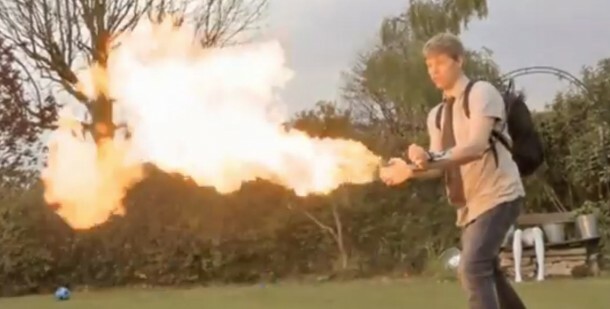 Colin Furze has also created a DIY video on how to build this Pyro suit. However, those of you at home; do not try this at home (unless you are a diehard fan and know what you’re doing.) Mr. Genius has declared that this was the last installment of his X-Men gadget series, however, he also stated on his website that there are a number of request for a myriad of impressive inventions. Let’s see what invention comes next from Colin Furze!